This fall Casey McFarland, Mark Elbroch and myself delivered wildlife tracking workshops and certifications in the United Kingdom, Slovakia, Germany and the Netherlands. Casey McFarland discusses the sign left by a wild boar rubbing on the base of a tree in the Saxony region of Germany during a Track and Sign Certification event. Footprint of a wild boar (Sus scrofa). Eastern Germany. Participants in a Track and Sign Certification Event in the Liptovsky region of Slovakia inspect sign left by a brown bear (Ursus arctos) climbing a large tree. Tracks of a Great cormorant from the shore of a reservoir in the Liptovsky region of Slovakia. 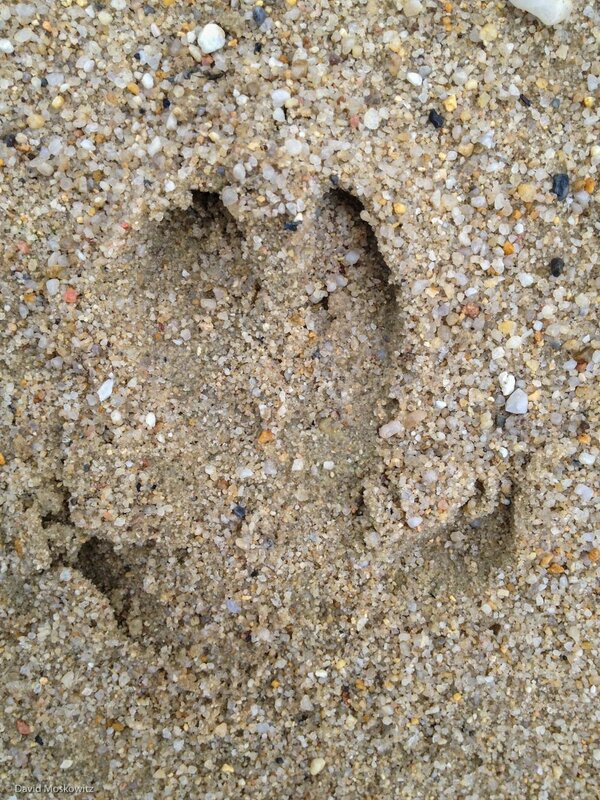 Tracks of two young wolves (Canis lupus, left and middle) and a large European badger (Meles meles) in sand. Saxony, Germany. Footprints from a stone marten (Martes foina) found under a bridge in eastern Germany. Note that a Euro 2 cent peice is the same size as a US penny. While Europe and North America share many similar species, there are a number of behaviors typical in Animals in each location which are not common in similar species in the other. The Great Spotted woodpecker, similar to the North American Hairy woodpecker, collects and breaks open pine and other conifer cones for the seeds within, in a mannor not typically observed in North America. Front (below) and hind (above) tracks of a wood mouse (Apodemus species). Saxony, Germany. 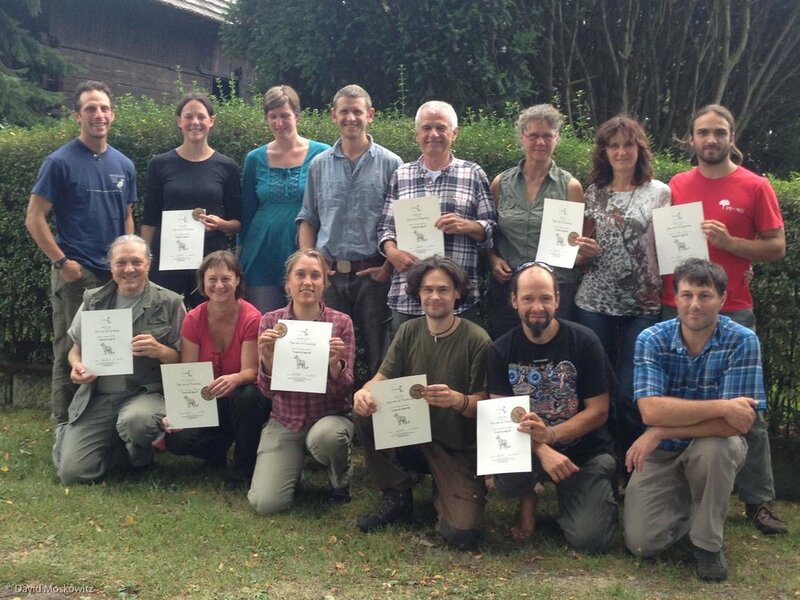 Numerous certificates where awarded in all 4 countries we visited including everyone who participated in the evaluation in Germany, pictured here. Congratulations to everyone. We will be finding an online home for the names and certification levels of folks certified in Europe through Cybertracker Conservation shortly. Stay tuned!